Product description The INSPIRE Orthoimagery data are harmonised according to INSPIRE Implementing Rules. 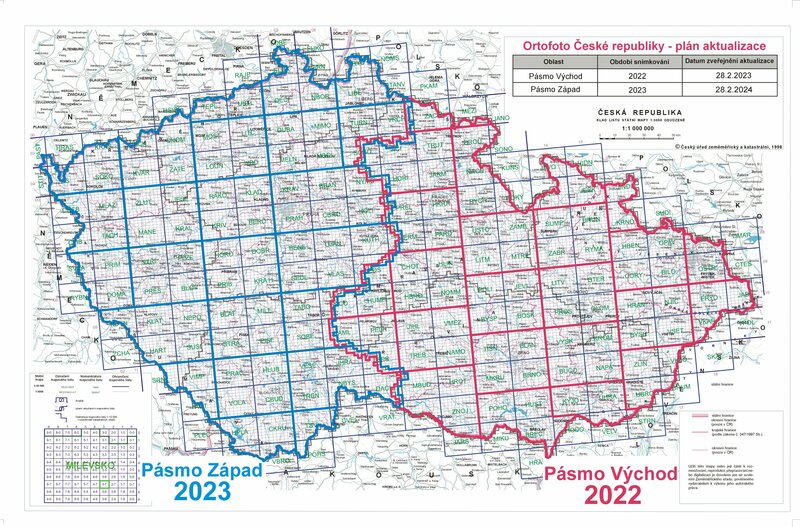 This dataset of the Orthophoto of the Czech Republic therefore has the unified design with other data created for this INSPIRE theme in frame of whole Europe. 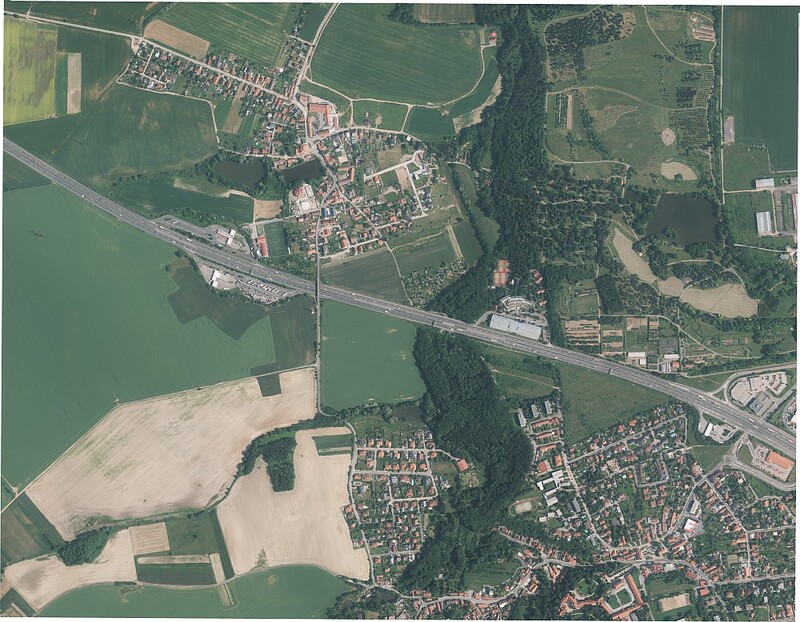 Data were derived from the dataset of the Orthophoto of the Czech Republic. For compliance with the data specification data were transformed to coordinate reference system ETRS89-TM33N and ETRS89-TM34N. Data are provided in graphic raster format (tiff) with 0.25 m pixel resolution, together with the accompanying information in GML format. Export units are defined by the grid ETRS89-GRS80. For the entire Czech Republic data are provided in ETRS89-TM33N coordinate system, for the east territory (from 17° longitude) data are provided in ETRS89-TM34N coordinate system on request. Update cycle - update state The whole dataset is updated in a two-year cycle. Every year half of the territory of the Czech Republic is updated.